The Gilmore Girls revival on Netflix has made the world very excited, and Lauren Graham is a crucial part of that excitement. It'll be awesome to see Graham back in her famous role as Lorelai Gilmore, and to find out if she finally got together with will-they-or-won't-they love interest Luke Danes. Knowing that we get four more episodes of Gilmore Girls loveliness is exciting on its own, but it particularly means more time with Graham, whose show Parenthood ended in January 2015. 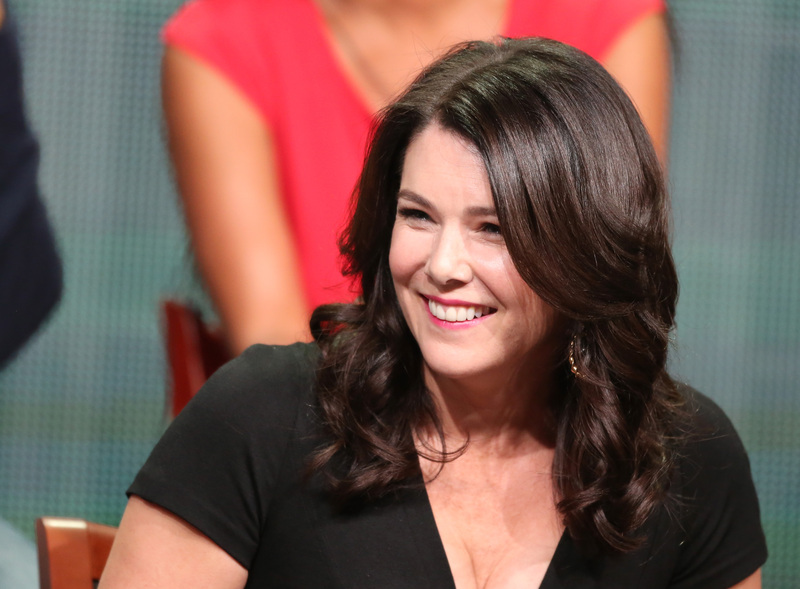 And that's a huge benefit for all of us, because Lauren Graham is a feminist actor in so many ways. Her body of work is filled with characters who are awesome, empowering, headstrong, beautiful, and hilarious. Graham's debut novel Someday, Someday, Maybe is the story of a struggling actor trying to achieve her dreams in New York, and is loosely based on her experiences in the industry. The Gilmore Girls star often makes guest appearances on popular sitcoms, as well as developing and writing her own projects. Most recently, she worked on two of her own pilots, Unfamous and Kate On Later. Here are just a few more of the reasons Graham the feminist role model we all need right now. Graham isn't afraid to say what's on her mind, or to do the things she wants to do. From writing books to creating her own shows to starring in some of the best-loved TV series of all time, Graham always expresses herself to the full, and embraces the fact that she's a strong successful woman who has worked hard to get to where she is. As Lorelai Gilmore in Gilmore Girls and Sarah Braverman in Parenthood, Graham has consistently played strong female role models who raise their daughters to be independent, self-sufficient, smart, and above all happy. Graham is the best TV mom a girl could ask for, and this is down to her approachability, likability, and comedic approach. Graham is always really friendly and personable in interviews. And on the press tour for her recent movie Max, she spoke at length about overcoming adversity. While Graham's characters often end up in relationships or are embroiled in long-term crushes, they are still strong enough to be alone. At the start of Parenthood, Sarah Braverman moved away from an abusive relationship for the sake of her children. In Gilmore Girls, Lorelai Gilmore refuses to stay in a marriage when she realizes it isn't right for her anymore, even though leaving is a terrifying prospect. In just about everything she's in, Graham's comic timing and wit has shone through. She isn't afraid to use her comedic talents. Her pilot for Kate On Later , which unfortunately didn't get picked up by any network, would have taken on the current problem late-night TV has with mostly hiring male hosts, which sounds like brilliant feminist satire. While Graham often plays women who aren't afraid to be single, when they do get into relationships, they refuse to settle. Sarah has several relationships before ending up with photographer Hank, who for the most part actually encourages her to develop her career and skills. Lorelai also doesn't want to be in a relationship for the sake of it, but strives for a meaningful connection. Graham's characters set an important example — that a relationship grounded in equality is the only one worth having. The Gilmore Girls revival is bound to provide Graham with plenty of opportunities to inspire us all, and I can't wait to see it and what projects she takes on afterward.